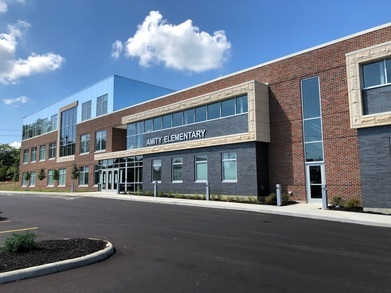 CINCINNATI, Ohio—Travel west on Galbraith Road from the Kenwood Towne Center, cross Blue Ash Road, and you cannot miss the brand new mirrored glass and fresh asphalt of the new state-of-the-art Amity Elementary. A building that has stood since the Roosevelt administration, Amity has a fresh new look that—while boasting the latest in school technology—does not ignore the history that comes with a nearly 150-year timeline. 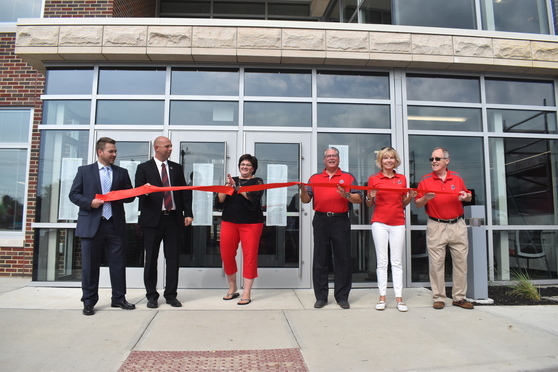 It’s been more than 22 months since the Amity Project kicked off, and on Friday, August 31, Deer Park Schools officially cut the ribbon on a $25 million renovation and addition that was funded through a bond levy which was passed by the community of Deer Park in November of 2016. 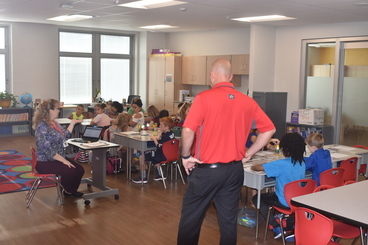 Students began classes last week, entering the brand new facility, which included a full renovation to the existing structure, a new library/media center, ADA compliant entrances and elevator, a new gymnasium and stage, extended learning areas and a STEAM (science, technology, engineering, art and mathematics) classroom. 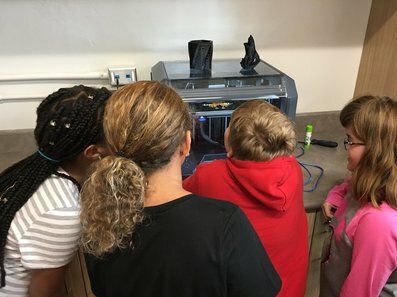 The facility is equipped with some of the best technological education tools available including multiple 3D Printers, VR Headsets, 1 to 1 computers, and multiple classroom robotic programming kits—all used to prepare Deer Park students for careers in the 21st Century from the very start of their education. In the coming months, a $40,000 grant from the Hatton Foundation will be used to construct a playground which will be inclusive for students with disabilities. 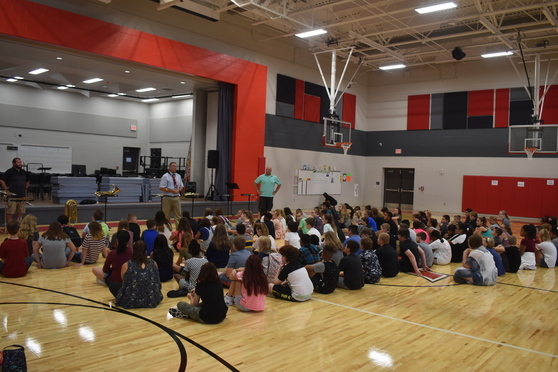 The project was completed in just 22 months thanks to HGC Construction—the project's general contractor, SHP Leading Design—the project's architect, and countless subcontractors, a bond committee, building design committee, and many others who had a hand in the project.